exists to introduce people to the real Jesus of the gospel, and to equip them to share His love with others. The primary purpose of this ministry is to reach everyone with the good news of Jesus, offering hope and assurance through Christ-centered biblical training. The secondary purpose of the Institute is to develop resources that motivate and equip for the study of Scripture, encouraging authentic discipleship, wholeness and service. SO… LET’S GET EXCITED ABOUT JESUS! At the feet of Jesus! That’s where Elizabeth wants to be, and she has devoted her life to the study of the Scriptures! 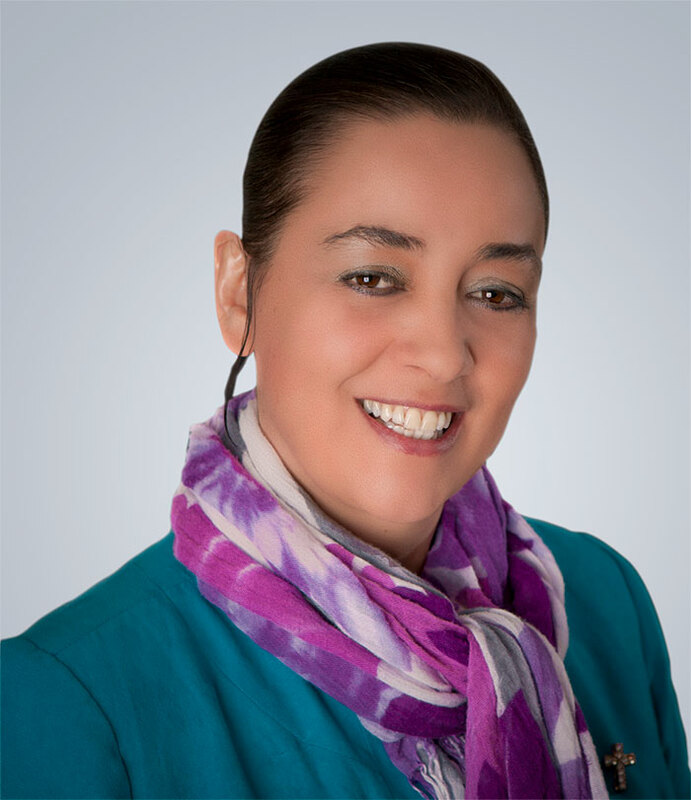 Elizabeth Viera Talbot, Ph.D., is the Speaker/Director for the Jesus 101 Biblical Institute, a media ministry of the North American Division of SDA, designed to offer in-depth Christ-centered biblical studies resources. Dr. Talbot is regularly featured in the Hope Channel and Esperanza TV, LLBN Latino, ROKU (Jesus 101 channel), and in several international TV channels and other social media venues, as well as radio stations throughout the world. For daily devotionals, biblical studies, videos, audio books, and much more, download the JESUS 101 app for Apple and Android. Among other books, Elizabeth authored “Matthew: Prophecy Fulfilled,” “John: God Became Flesh,” “Luke: Salvation for All,” “Mark: Good News,” “Revelation: the Fifth Gospel,” “Amazing Grace Bible study course,” “Surprised by Love,” “I Will Give you Rest,” “Radical Discipleship” and “After God’s Heart: A Study in Brokenness from the Life of David,” all published by Pacific Press. Elizabeth Viera Talbot was born in Argentina to the home of Adventist missionaries. Since her early childhood her parents instilled in her the love of Jesus and she always envisioned preaching and teaching as she gathered her dolls as an audience. After completing her Bachelors in music education, Elizabeth worked in the business world for approx. 15 years, and during that time she volunteered as a part-time youth pastor. While working in the accounting/managing departments, she earned a Master’s degree in Organizational Behavior. Eventually Elizabeth was invited by the Seventh-day Adventist church to become a full-time pastor which she gladly accepted as a call from God. She became a full-time young adults/families’ pastor and evangelist while earning her Master’s degree and subsequent Ph.D.in Biblical Studies. After becoming a senior pastor for several years and an adjunct Biblical Studies Professor, Elizabeth is now living her calling to preach the gospel through various media venues worldwide. Elizabeth is married to Patrick Talbot, a retired Marriage and Family Therapist. Elizabeth’s main identity is her passion about the good news of Jesus Christ: “It’s like fire in my bones” she says, and she means it! As you can tell, we are very busy. And all these resources would not reach our audience if it wasn’t for the awesome team God put together in this ministry. Our manager, Casey, keeps everything rolling with her amazing efficiency and incredible people skills. Our creative and production director, Chris, does all technology superbly! He directs our videos and audios, re-writes the app, Roku app, oversees the website and even composes music! Because so much is going on, Chris’ assistant, Joel, a very dedicated and talented young man, is becoming a full-time employee this year. Giani is our incredibly effective executive secretary and office assistant. She has amazing administrative skills in the office, and has a true passion for ministry. Hazel, our fun and insightful PR coordinator, has now gone back to school and is studying Theology full time; Woo Hoo! She continues to be our PR consultant, attending events for Jesus 101 as needed. Yes! We are absolutely sure that God put together this team to lift up Jesus, that the gospel may be preached throughout the world! We want to lift up Christ so that He may draw all people to Himself (John 12:32). We intend to do this by encouraging the study of Scripture. The mobility of this Institute makes it possible to offer instruction, methodological tools and resources anywhere. 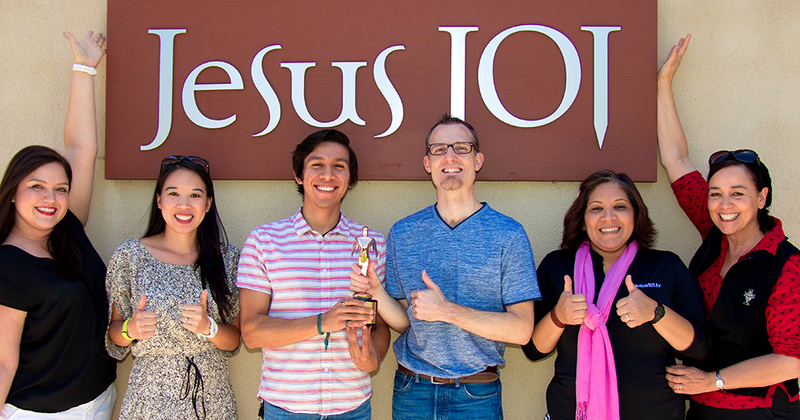 We have established this Institute to develop and promote a deeper understanding of Jesus through the Bible. We offer training in various and diverse locations and for different audiences – church members and seekers, clergy, ministerial students, and more. How do you schedule training classes and seminars? Contact us with your request and possible dates for the training. You may email your request or contact us by phone at 805-955-7684. We will then contact you with our availability information. Your institution pays for the trainer’s travel expenses (travel/lodging/food) and makes a donation (to be arranged) to the Biblical Institute so that we may continue to offer this ministry. The training classes are offered anywhere in the United States and Canada, as well as internationally — wherever we are invited to teach.